~ ~ ~Jayne Stamps ~ ~ ~: Retired List - Don't Miss Out! Plus Deals Galore! Retired List - Don't Miss Out! Plus Deals Galore! With a new catalog coming soon, it’s time to say goodbye to some stamps and accessories from the 2014–2015 annual catalog. Don’t worry, though! You have the opportunity to order retiring products at discounted prices (up to 50 percent off retail). Retiring stamps and accessories will be available while supplies last until June 2; however, Stampin' Up! will keep producing retiring stamps through May 26 (not accessories—accessories are only while supplies last). BUT, the butterflies have arrived! 1. Get the Stampin’ Up! Butterflies Thinlits Dies (137360) at 15% off–just $21.20! 2. 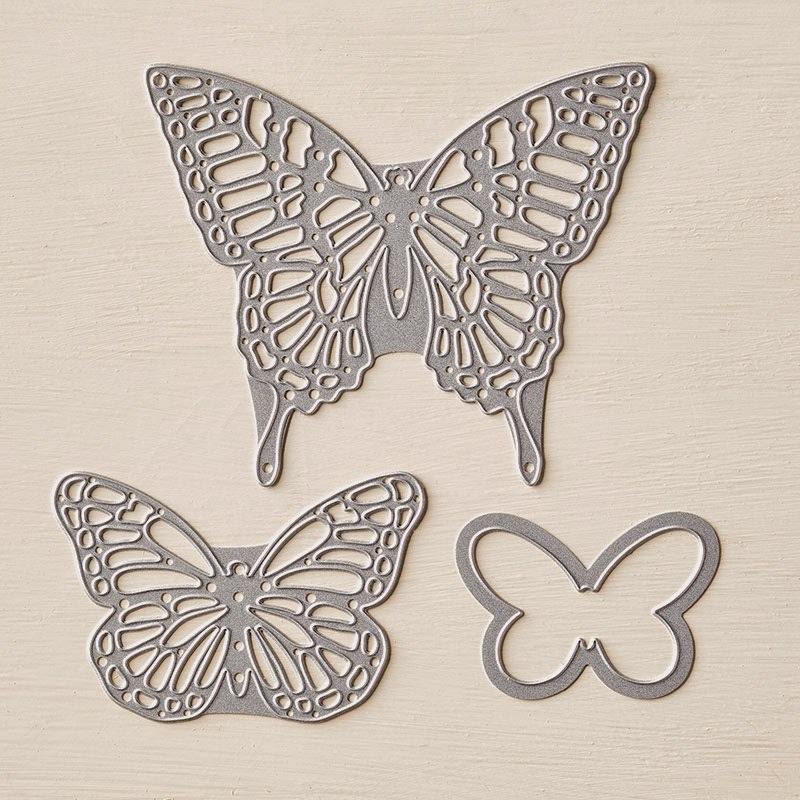 Buy any of the Butterflies Thinlits bundles already at 15% off (wood bundle #139322, clear-mount bundle #139323, photopolymer bundle #138865) and choose one of three FREE Sale-A-Bration items below (only available while supplies last) as a FREE gift. This offer is only good through April 30, 2015. 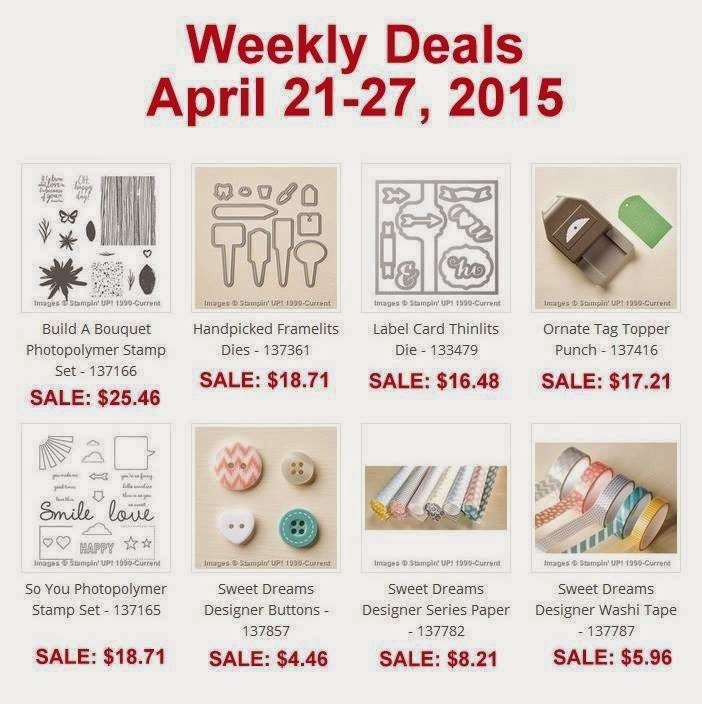 And... the new Weekly Deals are out! Phew! I think that about covers it for now. Feel free to contact me if you have any questions!